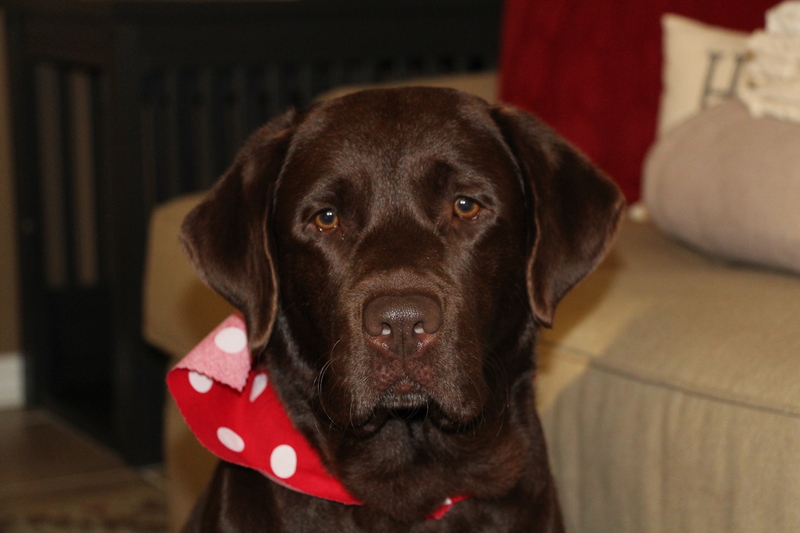 For Aggie’s first breeding, we chose a stunning chocolate Labrador in Washington state named Axle. 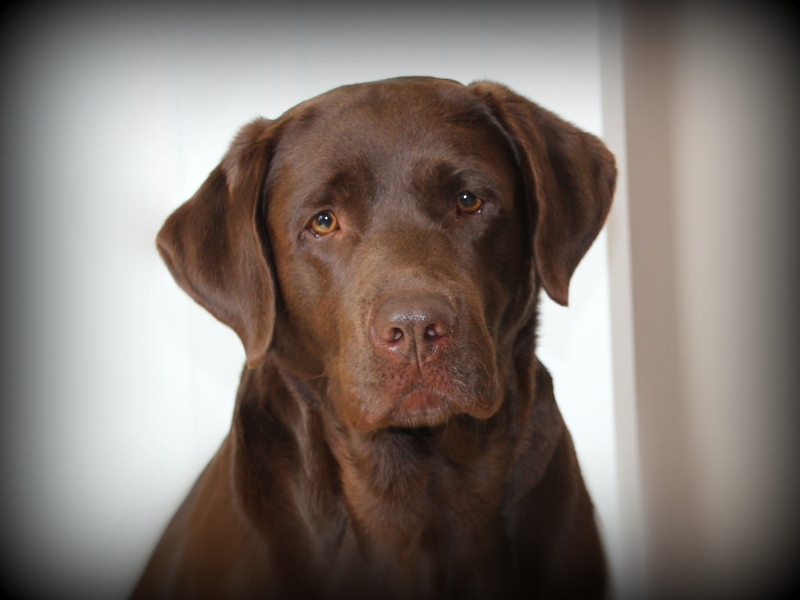 He has a great pedigree and is a great representation of the Labrador breed as he excels in both the conformation dog show ring and the field. His even, intelligent disposition is his hallmark, and his classic “have some fun” attitude is endearing. These are traits he has definitely passed to his puppies, including Penny. Penny is incredibly affectionate and always wants to be loved. She loves to snuggle and thinks she is a big lap dog. She is very outgoing and is ready to accept a belly rub from any human, friends and strangers alike. Penny is very eager to please and easy to train. 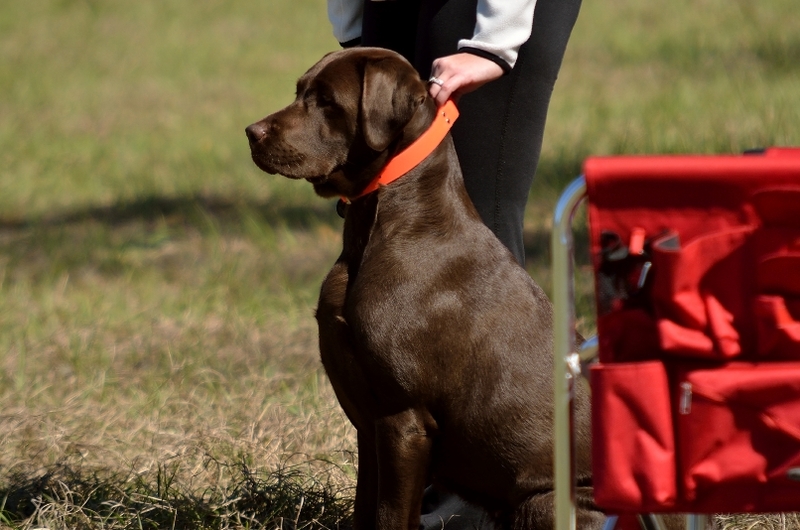 She earned her Canine Good Citizen certificate on August 20, 2013 and her IABCA International Adult Championship on October 27, 2013. She is super athletic and it is amazing to watch her run as her strides cover so much ground. 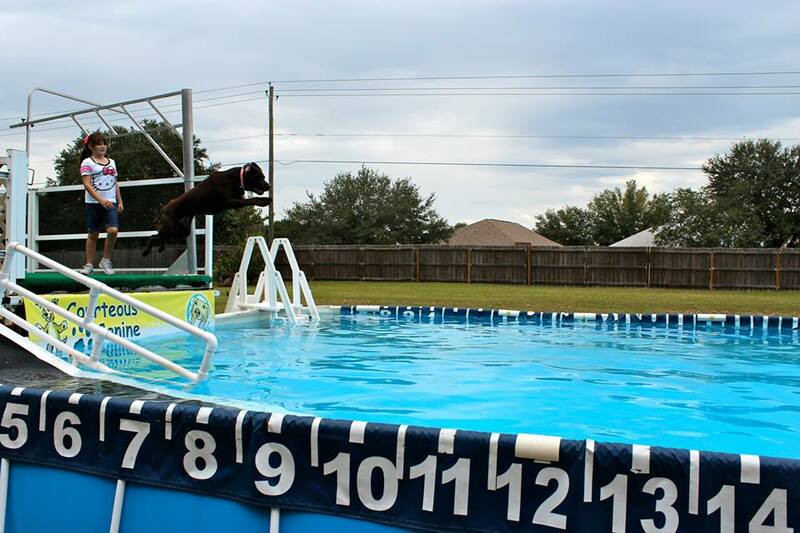 She has a very strong drive to retrieve and she could spend all day retrieving her squeaky tennis ball. 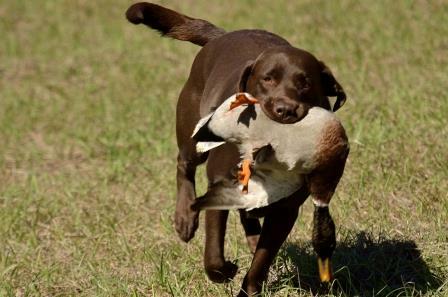 This isn’t a surprise as she comes from a line with great retrieving instincts (1 Master Hunter, 3 Junior Hunters and 4 Working Certificates in her three generation pedigree below). 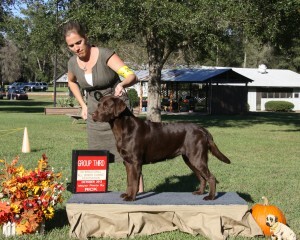 She has a beautiful, rich, dark chocolate topcoat and plenty of dense undercoat. She has a correct head with nicely colored eyes and a good otter tail. 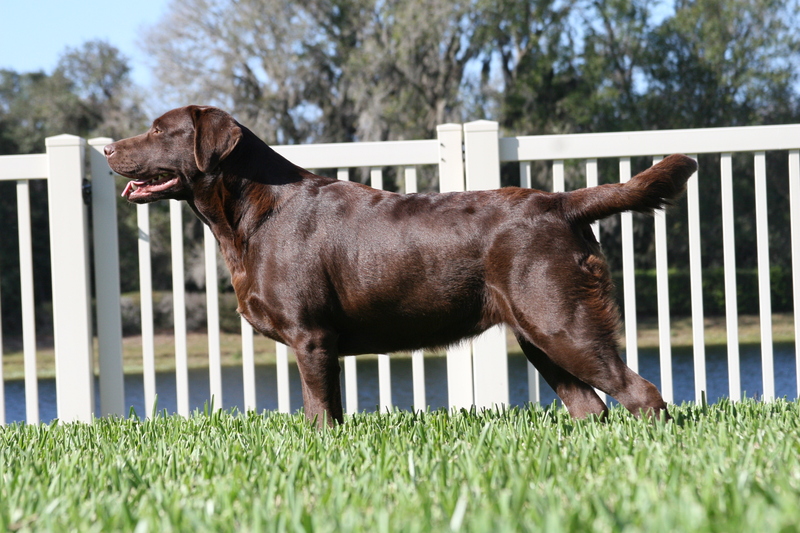 She is at the top of her height range at 23½ inches tall and weighs in at about 72 pounds. Her hips are excellent, and it doesn’t get any better than that! Click here to view Penny’s health certificates on the OFA website.